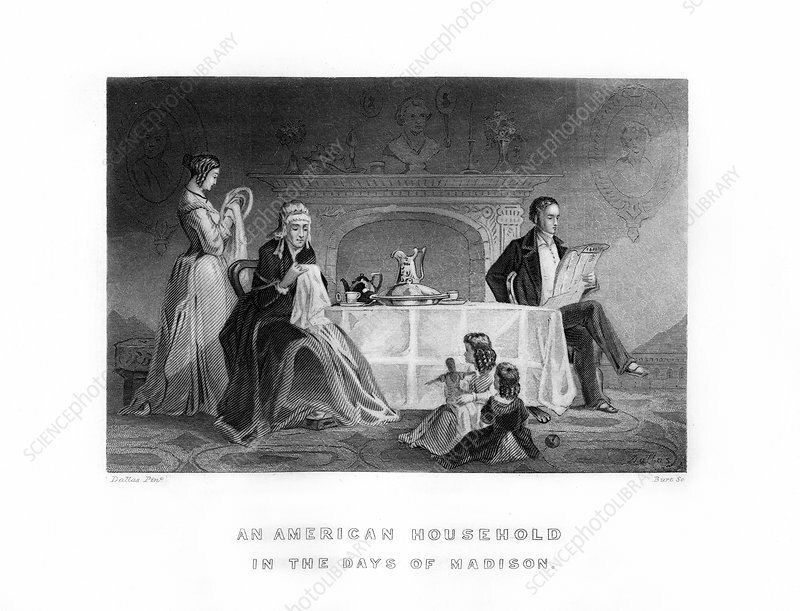 An American Household in the Days of Madison', 1872. A family during the presidency of James Madison (1809-1817). Engraving from John Gilmary Shea, A Child's History of the United States, Hess and McDavitt, New York, 1872. Artist: C Burt.